Are you tired of breaking the wooden boats? Want to sail the lava? Obsidian Boat 1.7.2 and 1.7.10 is a mod that adds the possibility of crafting a small boad made of obsidian. This boat will not break when hit with anything, as it did with the with the wood, and this in itself is an interesting feature. Besides this, the new boat will allow us to navigate the lava unharmed. To create our obsidian boat, need to do the normal crafting a boat, but instead of using wood, we use obsidian. How to install Obsidian Boat Mod for Minecraft 1.7.2 and 1.7.10? 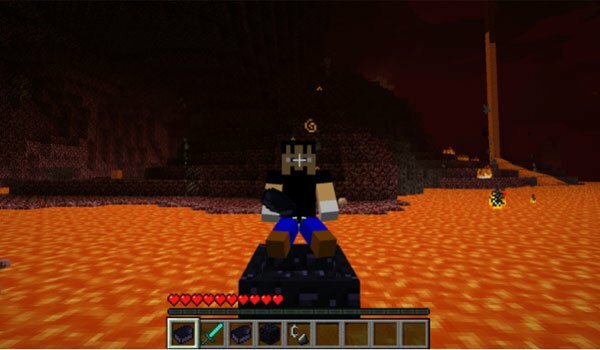 Navigate by lava with this resistant obsidian boat!